Big Brother is watching you. No, not Big Brother. Big business. Well, some might suggest Big Brother is too. Not to mention all your friends, family, Twitter pals, Facebook foes, potential employers, potential girlfriends, etc., etc., etc. The digital eye is lidless and can spread its focus with near-omniscient precision like Sauron leering down on his hapless minions from Barad-dûr. 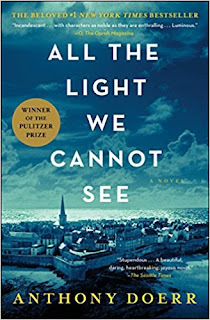 This blog article is inspired to a greater and lesser extent by two of the most recent books I have read: All the Light We Cannot See by Anthony Doerr and The Circle by Dave Eggers. After a personal marathon of genre fiction—mostly fantasy and science fiction with the occasional thriller mixed in for good measure—I felt the call to return to my roots as a literature major and tackle some modern literary fiction from two of today’s most influential writers. This incredible WWII novel is a modern literary powerhouse. 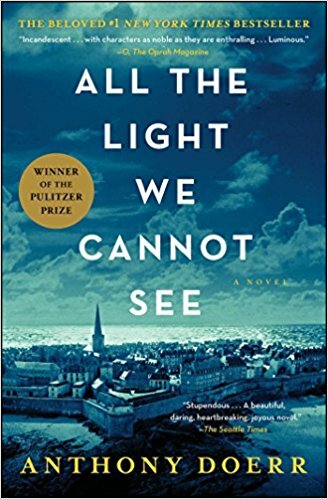 Not only was it the victor for the 2015 Pulitzer Prize, it saw sweeping success in the mainstream, staying atop the bestseller list for 118 weeks. For months I could hardly go anywhere without seeing it on a bookshelf or hearing someone exhorting its merits. Books seem to call to me in this way, and I decided at last to succumb and discover for myself if the hype surrounding this instant-classic was deserved. All the Light takes on an ancient topic: war. Even more specifically it re-examines the exhausted setting of WWII which has played host to so many books and movies I was skeptical that a fresh take on this subject was still possible. Not only did All the Light prove my preconceptions wrong, this incredible novel made it clear that even while tackling the most overused settings it is still possible to create something beautiful, fresh, intriguing and successful. All the Light is the story of a blind girl, Marie-Laure, in the midst of occupied France. Thrust into a rapidly crumbling world without the benefit of her sight, Marie-Laure struggles to cling to the anchors that have kept her dark existence grounded: her father, her books (in braille), and the familiar streets of her corner of Paris, a detailed model of which her father tediously constructed so she could learn the city layout with the touch of her fingers. As this carefully controlled world shatters around her, the reader simultaneously learns the story of Werner, a German orphan whose virtuoso understanding of radio technology shoves him unwillingly to the front lines of battle to perform a grim and haunting duty for the Nazi war effort. As the war progresses the two characters’ stories spin in ever-tightening concentric circles until both plots whirl together into a frightening, surprising and dramatic crescendo at the book’s conclusion. At this point you are probably wondering how a novel set in war-torn 1940’s Europe ties into my original thesis about the shortcomings of social media and the discomfort engendered by this hyper-information age. Anthony Doerr found major mainstream literary success without Twitter! There has always been something slightly uncomfortable for me about social media. I was a latecomer to Facebook (not joining until 2011, long after most of my friends) and was even more tardy to Twitter, which I did not start using until January of this year. Even now I harbor many misgivings about the effect such cybersocial vehicles have on our culture. While they have greatly enhanced the flow of global information and opened the possibility of success for independent authors and self-publishing models exponentially, they have also created the ultimate platform for hate and anonymous negativity to diffuse throughout the globe. Such vehement cruelty is the hilt of the wedge driven between opposing factions of our world, and (in my opinion) one of the most efficient weapons that has led to the erosion of civil discourse in modern society. Of course, it would be hypocritical for me not to acknowledge my own reliance on social media platforms to promote an article criticizing the very same platforms. This idea, that there is something toxic undermining the benefits of social media, brings me to the second book I wish to discuss, The Circle by Dave Eggers. Regular followers of my blog may recall that I have mentioned Dave Eggers several times in recent months. As I earlier attempted to elucidate, I'm filled with simultaneous frustration yet profound admiration for Eggers as a writer and a literary figure. I struggled with his 2000 memoir A Heartbreaking Work of Staggering Genius. The brilliance of this breakthrough book is without question but its convoluted style makes reading it a dizzying exercise in patience and focus. On the other hand, I admire Eggers deeply for his creation of 826 National, a rather brilliant non-profit whose primary function is to promote reading and writing skills among children (one of my primary goals also). In addition, I can’t help but feel a measure of hero worship for him for founding McSweeney’s, now largely regarded as one of the top literary journals in the world. Eggers' impact on modern literary writing goes without saying. When I saw that Eggers' latest novel, The Circle, was being adapted into a movie starring Tom Hanks and Emma Watson, I was intrigued and decided it was past time to give his work another chance. First of all, let me say I was pleased to discover that The Circle had none of the over-written trappings of A Heartbreaking Work of Staggering Genius. Instead it is very accessible and readable novel. In fact, it feels more like garden-variety dystopian science fiction of the near-future variety than his usual hyper-intellectual literary fiction. The Circle takes the mores laid out by books like Fahrenheit 451 and 1984 and translates them into the modern vernacular. In essence this novel is about the dangers of social media gone awry. In the novel, a mega corporation called The Circle (basically an amalgamation of Google, Facebook, Youtube and Twitter) has come to be so powerful that it begins to infiltrate into every detail of people’s private lives. Politicians are pressured to become transparent (wearing high resolution cameras at all times so that constituents have 100% access to all meetings, dealings, votes, etc). There is a hyper-focus on social media participation, leading everyone to spend most of their time writing “zings” (essentially tweets) about nearly every mundane daily task. Eventually the company becomes so pervasive they begin promoting programs they claim could eliminate crime and vastly improve healthcare, like implanting tracking chips in children to make them traceable for life and thus eliminate kidnappings, or creating wearable bio-monitors that chart and give unlimited global access to everyone's person’s health 24 hours a day, 7 days a week, 365 days a year. Eggers’ own discomfort with the inauthenticity of social media communication is clear both in the novel and in his own actions, but he offers no workable solution. Instead he seems to conclude this movement towards an entirely social-cyber existence is inevitable. Things have progressed so far, the novel suggests, that this dystopian society where nothing is private and every personal detail is completely available to everyone is the inevitable and inexorable conclusion of this digital age we have created. As mentioned, Dave Eggers has a relatively minor presence on social media. Here is yet another wildly successful novelist who does not have a Twitter account. Of course, it should be acknowledged that having become rather famous before the advent of Twitter or Facebook, Eggers had a distinct head start from the rest of us still on our quests to promote our work. However, his lack of social media presence combined with his chilling and terribly realistic portrayal of the potential consequences of our information-dense cyber reality forms a clear thesis that our ushering-in of an age where information is increasingly syndicated in unprecedented ways comes at a terrible cost: the death of uniquely personal and authentic experience. Social media is a great tool, but as with any tool it can be misused. Many modern voices pressure today's aspiring writers to participate heavily in social media promotion: you must have a platform! Perhaps they're right. Perhaps the only way us not-yet-broadly-known writers can raise our voices above the ambient noise is to stand upon the digital platforms and project our voices into the cosmos. Or perhaps this is just a myth promoted by those in charge of constructing The Circle. I am in-debted to my readers. Without people to endure the words on my pages, I will vanish like the dodo. If you liked this post, feel free to comment below. If you didn't like it, feel free to comment below. I'll be your friend forever if you consider signing up for my weekly newsletter. 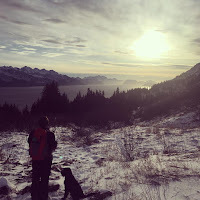 You'll get a once-a-week update on my posts and NOTHING ELSE! No spam, no selling your email to third parties. Okay, if I ever get around to publishing one of these numerous books I've been working on, I might send out an email letting you know about that, but that's it! In the meantime thanks for reading. Here's my take on the Twitter (read "social media) matter. For a book to be a raging success requires two things: its content to appeal to a good fraction of the population, and a good fraction of the population to be persuaded to try it. By far the most effective way to persuade someone to read a book is word of mouth. If a book is widely enough appealing, once word of mouth kicks in it is golden. No, you don't need to be on social media for word of mouth to kick in for your book, though it can be a trigger for a viral book. 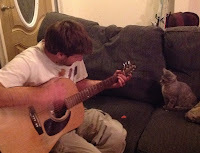 Many other fortuitous things can happen that get word of mouth started. However, social media presence is one thing authors can control, whereas most of these other things are outside an author's control. So, just because some authors are successful without being on social media, doesn't mean it isn't valuable. But you *also* need to write an amazing book. You are spot-on in your analysis. Despite my misgivings, I use social media a lot and have had quite more success with it than without. 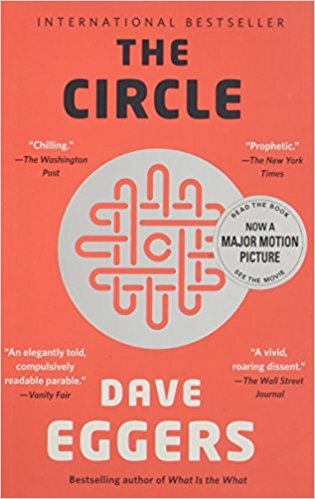 The book The Circle, however, really is a rather chilling possible future, and got me wondering. That coupled with the fact that neither of the last two authors I read were on Twitter was the inspiration for the topic. Thanks, as always, for reading! I am somewhat dubious of the success of twitter for marketing, while at the same time trialling it myself. I use it to gather info from a lot of people, and sometimes I have found some great stuff and lots of photos. It can be a time consuming process building a platform, and that time might be better spent writing. But then who will know about your work? It's a continual struggle for balance and time. I feel the same. I have misgivings about social media for several reasons, yet I spend a great deal of time promoting my work on it. The book The Circle really struck a chord with me by illuminating many of my fears. Thanks for reading! So to kick-start my freelance social media work, I joined a bunch of freelance sites like Elance, oDesk and Freelancer.